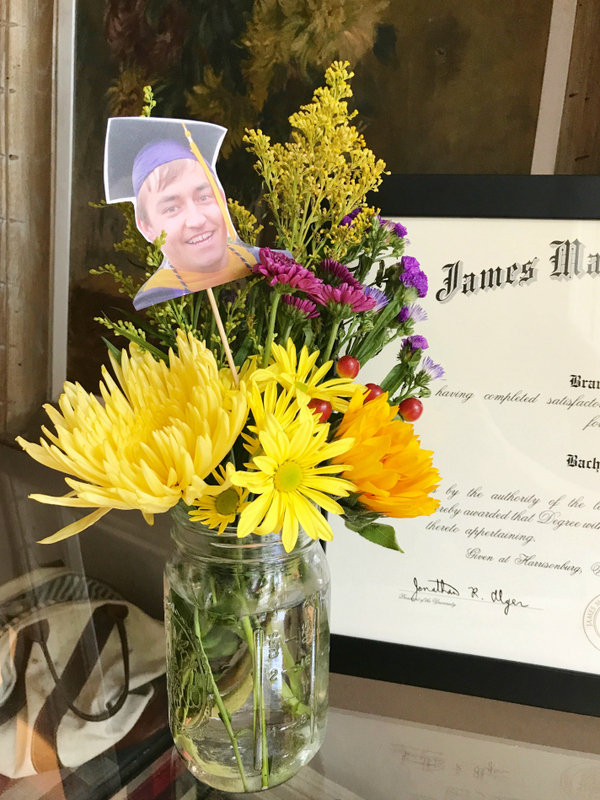 In addition to the balloon wall and other purple & gold themed party decorations (more on those here), I used the leftover party invitations we had on hand to make a batch of party sticks and a string garland featuring a cutout of Brandon's graduation portrait. 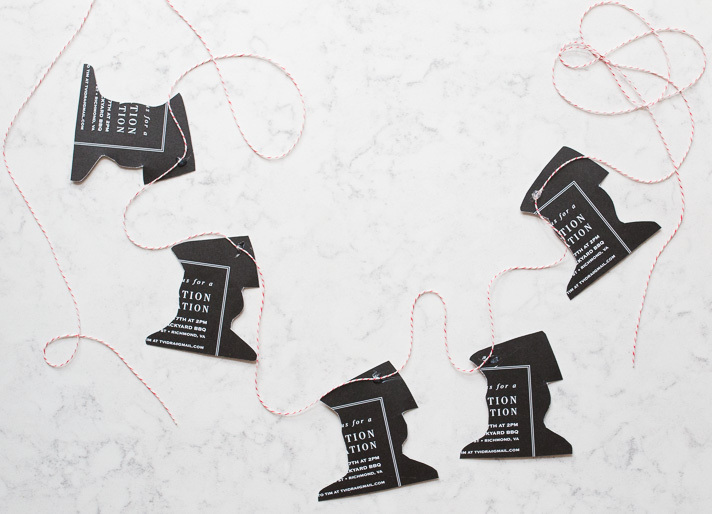 They made for such fun little personalized touches to tuck into unexpected places around the house where we knew guests would be gathering. 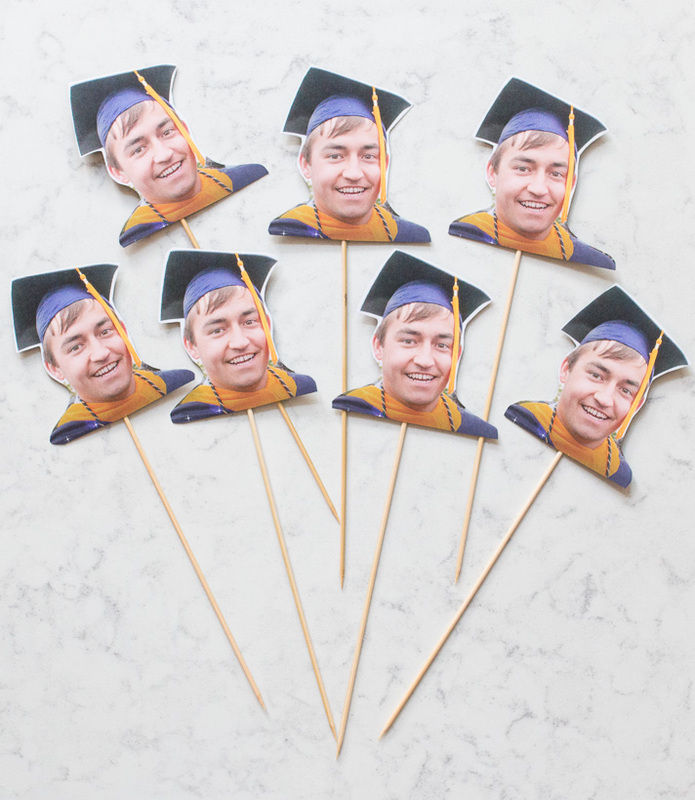 Super simple to make, and from materials we may have otherwise thrown away, these little party sticks turned to be one of the big hits of the party (second only to Brandon and the cake), sparking smiles and pictures everywhere we looked. 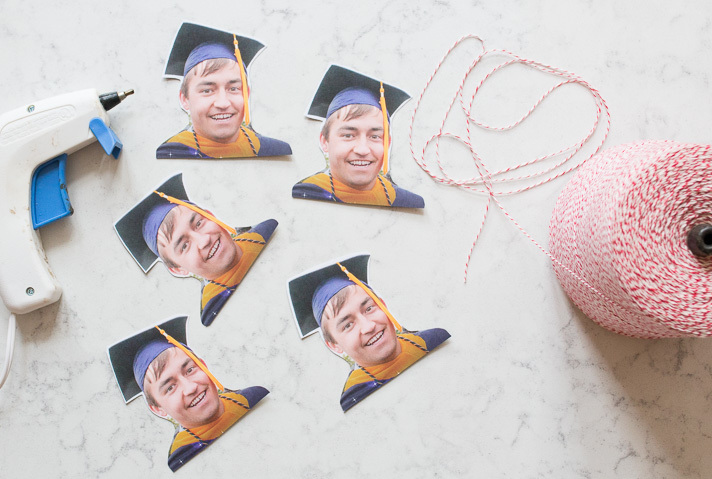 This tutorial can work with any photo portrait, so long as it's printed on thick, sturdy paper like cardstock — and while we were planning for a graduation party, they'd translate well to other types of celebrations like birthdays, retirements, class reunions and more. We had several of the party invites leftover from our minimum order, so we saved 2-3 for our personal memory box went to town on the rest to make these party decorations. 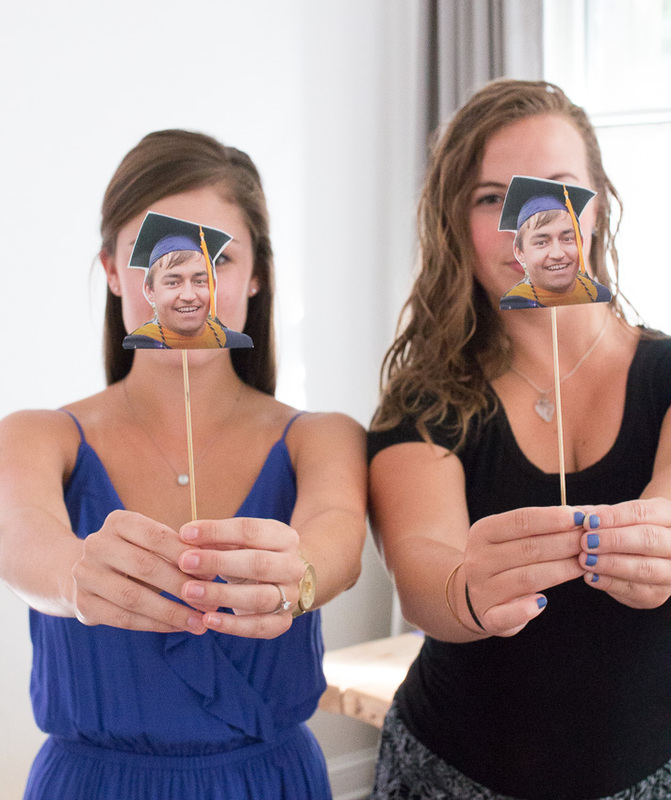 For those interested, we had these custom invitations made on Etsy using a favorite photo from Brandon's commencement. 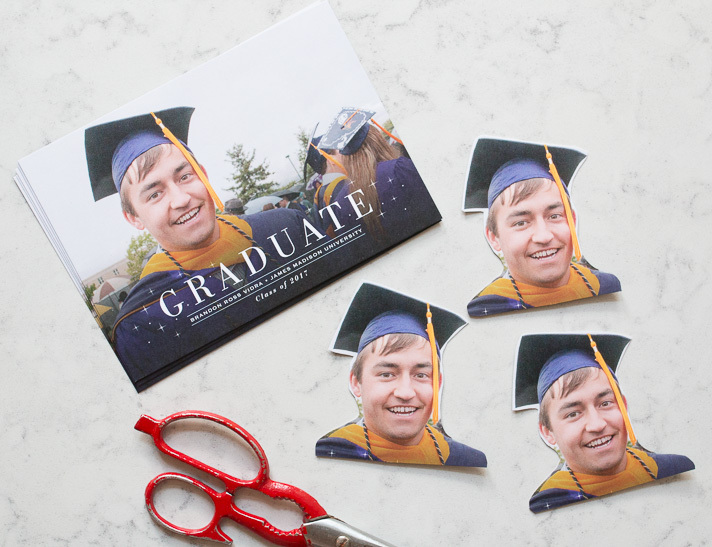 Carefully cutting each portrait from the paper, I chose to accentuate details like the graduation cap. 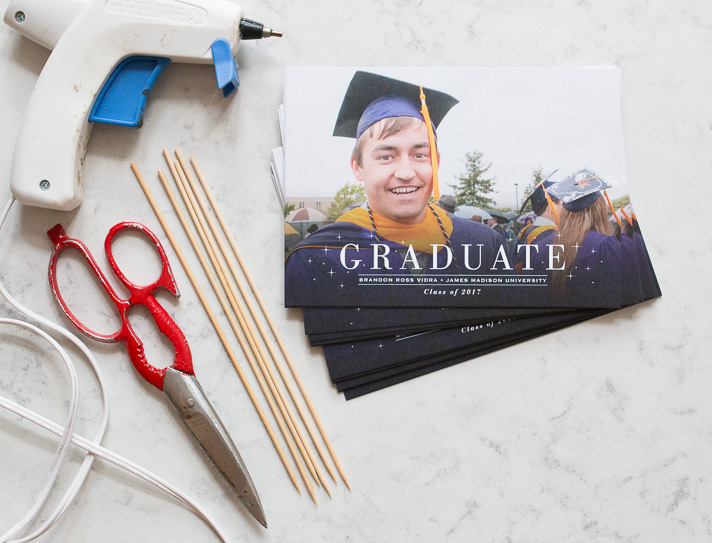 Using a glue gun or piece of masking tape, fasten a single wooden skewer to the back of each cut-out, leaving the pointed side down. 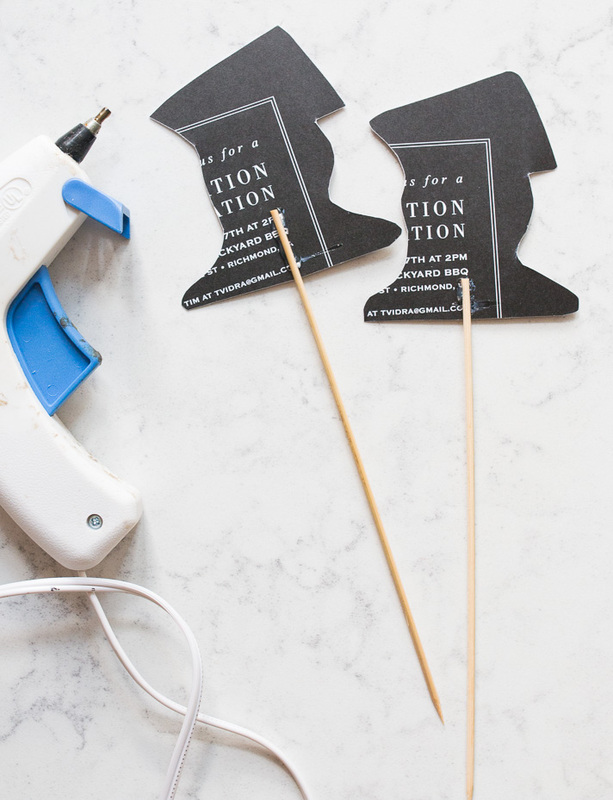 Repeat to make as many party sticks as you'd like and allow to dry before decorating with. We chose to use them in our front planters, in each of the floral vases inside and collected the rest in a mason jar for guests to to engage with — and boy did they! 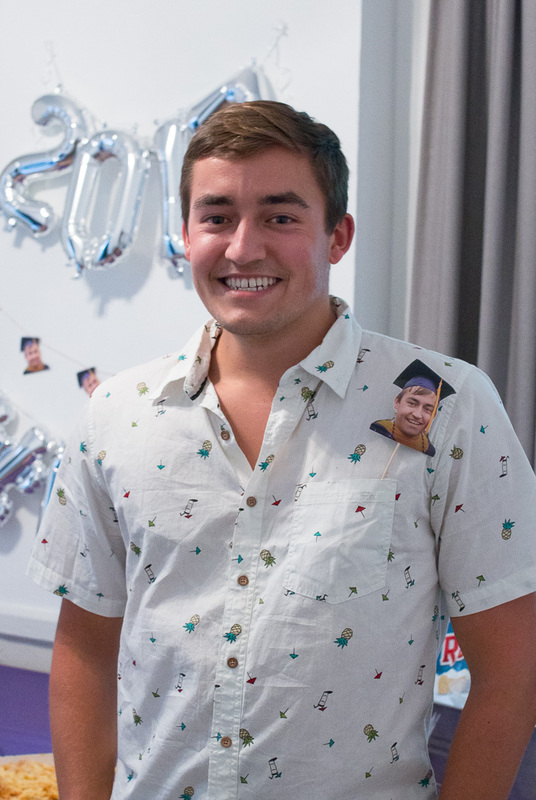 Friends referred to them as "the Brandons," and were using them to make all sorts of Instagram and Snapchat posts. They even ended up taking them out later that evening to continue to celebration on the town. 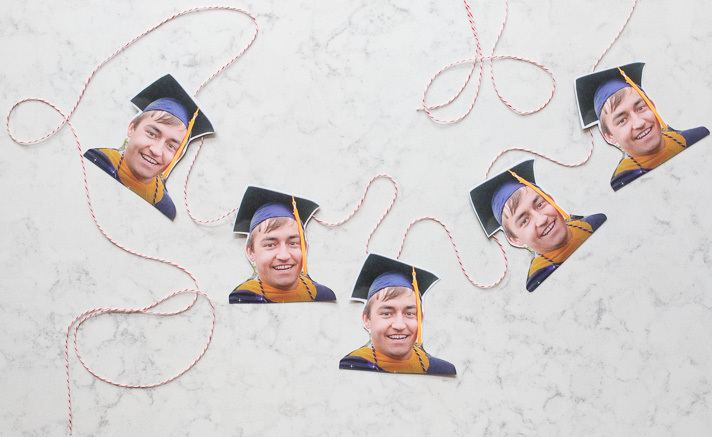 For the photo garland I used 5 of the cutouts, spacing them evenly before glueing onto a long string of baker's twine. I knew the area we'd be hanging it is only about 2 1/2 feet in width, so didn't need many of the cutouts to fill the space. Tape would do just as well for these in a pinch. You'll notice I placed the bead of glue near the corners of the cap depending on which way I wanted them to hang once strung on the wall. 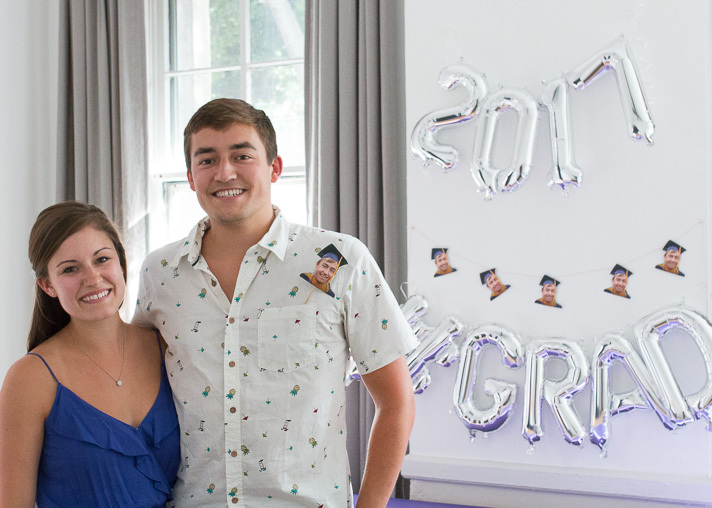 The result had us in stitches, was easy to hang up with the help of these clear mini command clips, and ended up adding just the right amount of festive humor to the backdrop we were looking for. Most importantly, Brandon approved and obliged to what could easily be construed as a DIY step-mother gone one step too far! Thanks for checking in on us today! 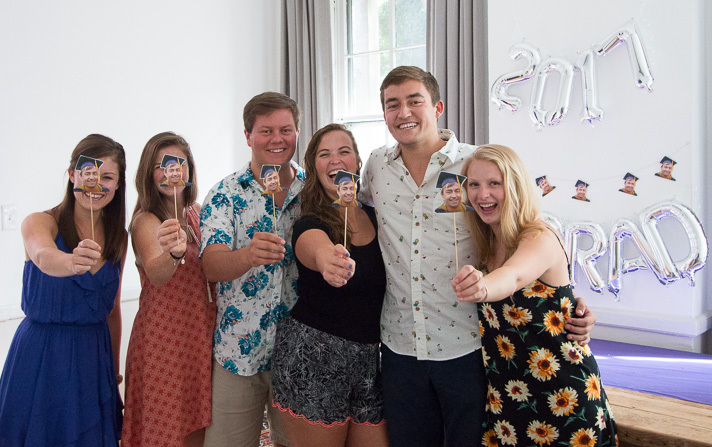 As you can gather, it was such a fun day — find the fuller party recap in this recent post for more decorations and memories from Brandon's celebration.